Q : CamerFi doesn’t work! 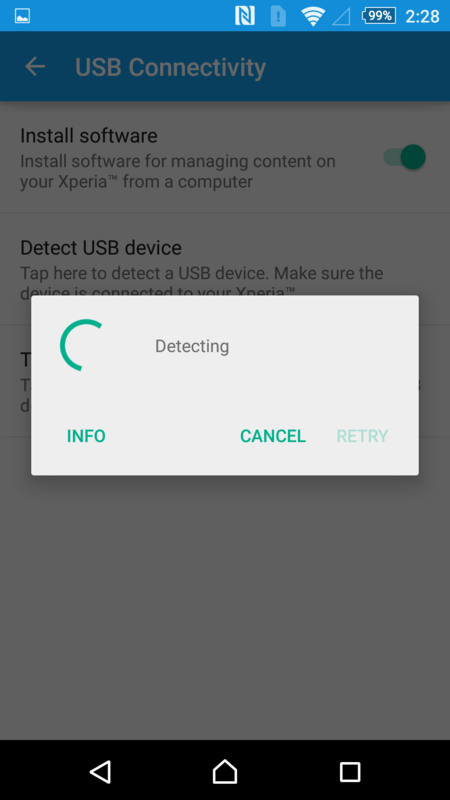 Many Sony Xperia Z series users left comments that CameraFi doesn’t work. 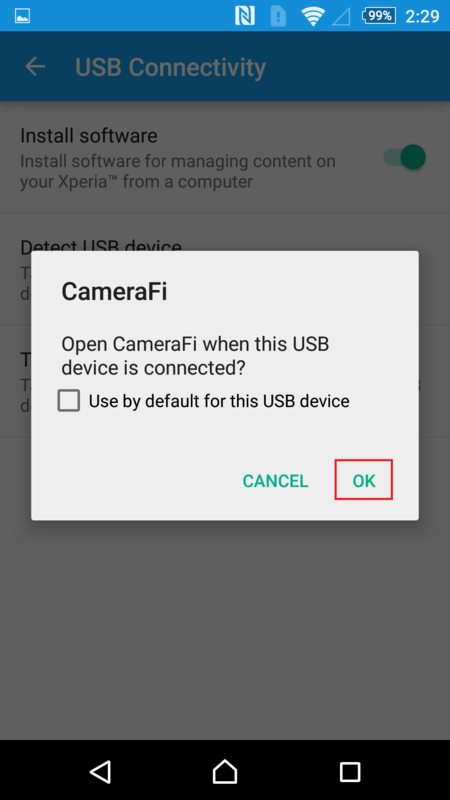 CameraFi team has analyzed the problem and as a result, we found out that you have to set settings for USB connectivity in Z3. If you follow the steps below, you will be able to use CameraFi. 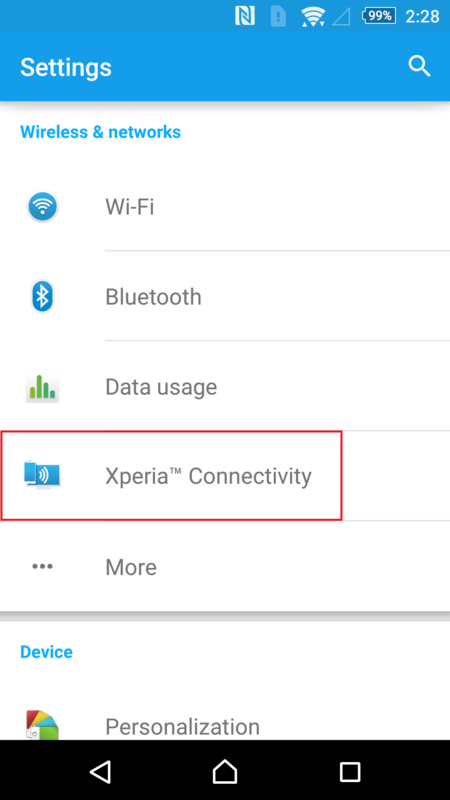 Go to your smartphone settings. 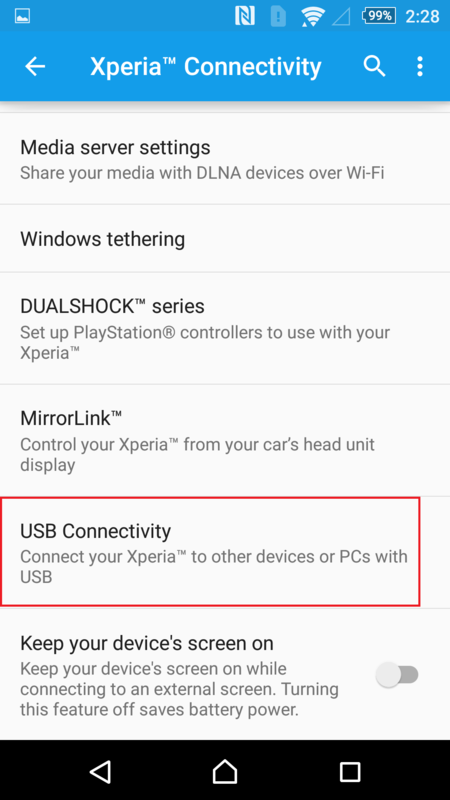 -> Touch ‘Xperia Connectivity’ menu. 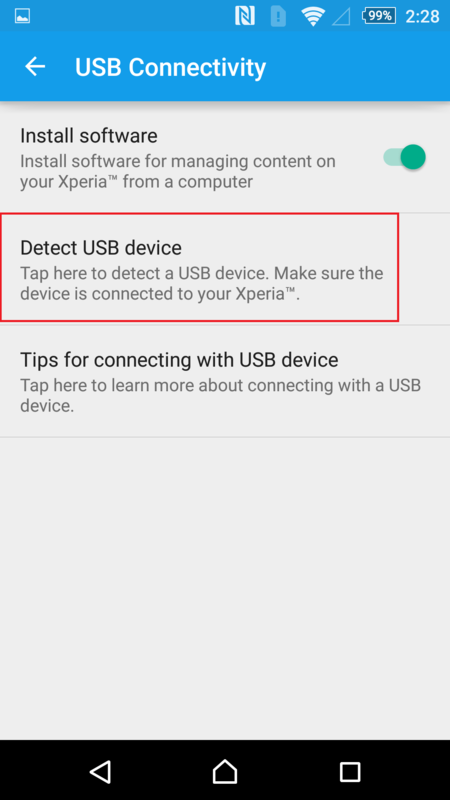 Touch ‘Detect USB device’ menu. -> Connect to USB camera. 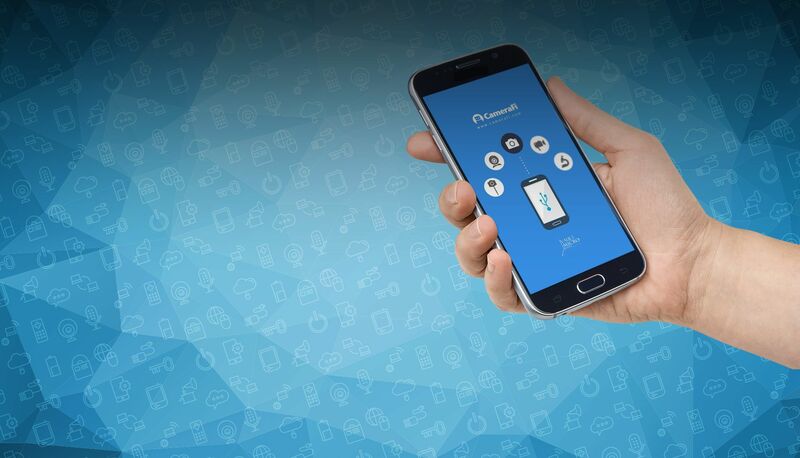 Your phone will detect connected USB camera. 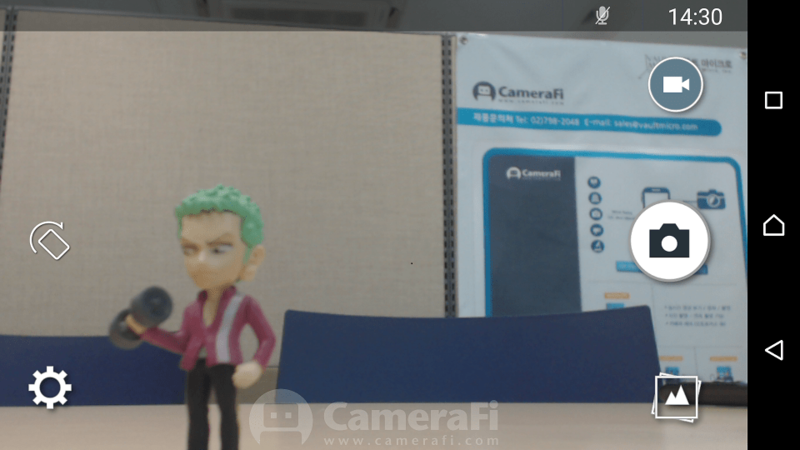 After some time, CameraFi detects USB camera. If you press OK button, CameraFi will operate.